Product quality and food waste are two of the most important topics in today’s food production. While the industry must keep production costs low they are also under pressure to ensure high product quality, a long shelf life and additionally avoid excessive food waste. Since the traditional microbiological tests often take days and are expensive, there is a great need for cost-effective rapid tests. Using fluorescence spectroscopy a handheld measuring device becomes available, that enables quality tests of food products on site in just a few seconds along the entire process chain – with a comparable accuracy as microbiological tests. 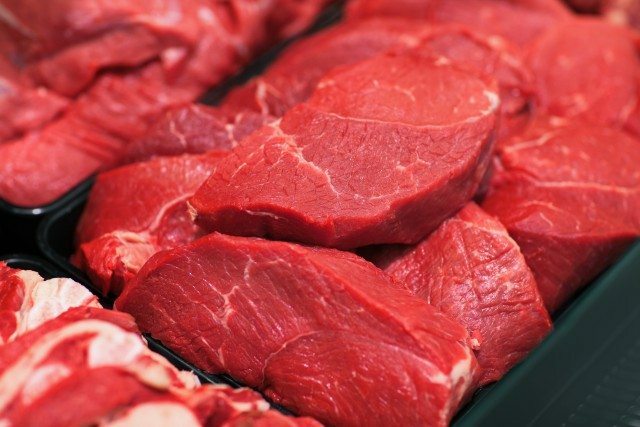 As of today, more than 99% of all meat in the industry is not measured before, during or after food processing with respect to its Total Viable Count (TVC). This is because conventional microbiological testing methods, such as the spatula and pour plate methods, require extensive effort and trained personnel to ensure regulation-compliant execution of the tests. Plating dilutions as the current standard method are carried out in four steps: cutting out a part of the meat, sending it to the laboratory, growing the bacteria in a petri dish and counting the colonies grown after two to three days. This is not only expensive, with €5-€20 (US$5.87-US$23.49) per sample, but also slow, because the results are available in three to four days. This means that at the moment almost no TVC process monitoring is taking place. There are rapid methods such as bioluminescence-based adenosine triphosphate (ATP) measurements and fluorescence-based flow cytometry available in the market. They provide automated measurements within hours to minutes but result in quite high costs per sample (€10-€50 per sample), are invasive technologies and destroy the products when extracting the sample material. Fluorescence spectroscopy, in contrast, offers a non-invasive way to detect the bacterial contamination in real-time. Researchers have demonstrated through a series of measurements that it is possible to estimate the amount of surface bacteria under lab conditions. To do that, various information has to be extracted from the spectra and analyzed with algorithms. The TVC prediction is then based on fluorescence fingerprints of bacteria and their by-products. By using fluorescence spectroscopy, a handheld measuring device becomes possible, which facilitates a practical, reliable and cost-effective rapid test method. The typical measurement time for a determination of the quality of meat (by means of the TVC) is in the range of three to five seconds. Due to its non-invasiveness and the fact that no consumables are necessary, the method is feasible for a nearly unlimited amount of measurements. So far, the University of Bayreuth as well as an accredited laboratory have both confirmed that this technology can provide results with accuracy comparable to conventional microbiological tests in the lab. The tested device uses fluorescence spectroscopy in the visible range. It directs an intense blue light onto the surface of the meat and collects the fluorescence response from the sample with a spectrometer. The signal contains fluorescence signatures that correspond to the surface bacteria and the meat matrix, including fluorescent porphyrine, which feature characteristic wavelengths in the ‘green-red’ range. The device then analyzes the intensity and wavelengths of the light and determines the TVC, calculated in colony-forming unit (CFU)/cm2 or CFU/g, using special algorithms. As specific types of meat or the type of atmosphere in the packaging can have a major influence on bacteria growth, different algorithms (so called calibrations sets) are used for the TVC prediction. The device uses machine learning algorithms to map the measured fluorescence spectrum with the lab-based TVC measurement. Calibration thus requires capturing the fluorescence spectrum with the measuring device as a first step. The TVC of the same meat sample is then measured using the conventional laboratory method. This step is repeated with further samples. The key is to collect a statistically relevant amount of data in order to train the algorithm. Prediction models are then developed from this data and are validated with additional samples. The resulting calibration set is then stored on the device and can be used for an on-site measurement. The accuracy of the fluorescence spectroscopy device tested by the University of Bayreuth and the accredited laboratory Micromol, Karlsruhe was comparable to the standard lab testing. The tests show a correlation between fluorescence spectroscopy and classical plating dilutions of better than +/- 1 log. In this context it is worth to mention that a non-invasive rapid method allows for a significantly higher number of samples which results in an improved accuracy of the measurement. Additionally, by increasing the overall sample density along the production, a more accurate analysis of the actual situation in the factory is possible and can be the basis for a thorough onsite analysis. To support such an in-depth process optimization or supplier evaluation, the device should also record additional information that might be necessary for the analysis, such as the temperature, date, time, measurement number. This is important as only by combining relevant data the right conclusions can be drawn. Due to its cost-effectiveness and speed, a handheld fluorescence spectrometer is suitable for almost every application where detection of the TVC of meat is required. For the first time, it allows a quantitative, comprehensive and preventive quality and process control. Slaughterer and meat processors can use the device along the entire processing chain. For instance, it can serve as a tool for drawing conclusions about hygiene conditions, or to back hygiene analyses and management decisions. By using such a device at the reception of goods, companies can immediately identify poor quality products that have to be rejected or to determine the best way to process this kind of meat. With its minimal running costs, the technology is suitable for testing a large percentage of the delivered products. Apart from monitoring hygiene conditions, the TVC analysis also reveals packaging problems. And in the shipping area, it provides a quality check when handing the product over to the customer. It is also beneficial if the data is directly transferred to a management information system, an ERP system or to a cloud solution. This would increase the transparency along the value chain and allow slaughterer and meat processors to determine the TVC at every step of the process and optimize their processes accordingly. If this data is available, retailers can also use the information to track the quality of the ordered goods along the value chain. Otherwise, they can also use the technology at the goods’ entry. If the retail additionally uses a handheld device for quickly determining the TVC at the point of sale on a permanent basis they can modify their sales processes to minimize food waste and the associated losses. Food inspectors may also benefit since the simple and rapid test method allows them to analyze a much larger number of samples compared to the amount that is send to the laboratory today. The technology can be used as an on-site pre-test that identifies samples that are worth to be investigated with the conventional tests. In a survey carried out by the University of Leipzig, food inspectors had a predominately positive stance toward the rapid tests, emphasizing their usefulness as a line of reasoning and for making on-site decisions at companies undergoing inspection. Fluorescence spectroscopy can be used to immediately draw precise conclusions regarding the microbiological quality of food products with a minimum of effort. This opens up new opportunities for creating a dense network of measurements across the entire manufacturing process. This unprecedented volume of real-time data permits an end-to-end analysis of the manufacturing process for the first time, and thus making it possible to optimize quality and costs. Companies can save resources because they have the information they need to decide during the manufacturing process whether a product is suitable for the retail shelf or more suitable for other uses. Such a handheld device can furthermore be used to analyze and optimize production flows, helping the company to lower production costs, extending the shelf life of the meat products and providing consumers a better product quality. Concluding, the use of a fluorescence spectroscopy based handheld device for rapid TVC measurements offers for the first time an optimization along the complete value chain of food production and thus can lead to reduced manufacturing costs, less food waste and a better food quality.